This salad is much better if made the day before, the dressing applied and then allowed to mellow in the refrigerator overnight. The cabbage wilts just a little for a better mouth texture. The sharp taste and rawness of the freshly cut cabbage mellows overnight. 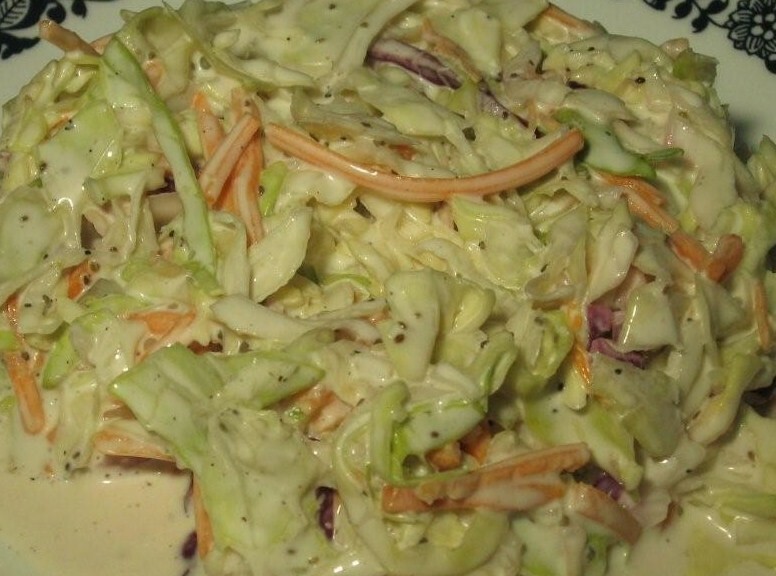 The cabbage is still crispy and has a smooth texture when served and is mildly seasoned for an enjoyable salad. A medium head of cabbage makes about 1 ½ pounds of shredded cabbage. Add a shredded carrot for a bit of color contrast. 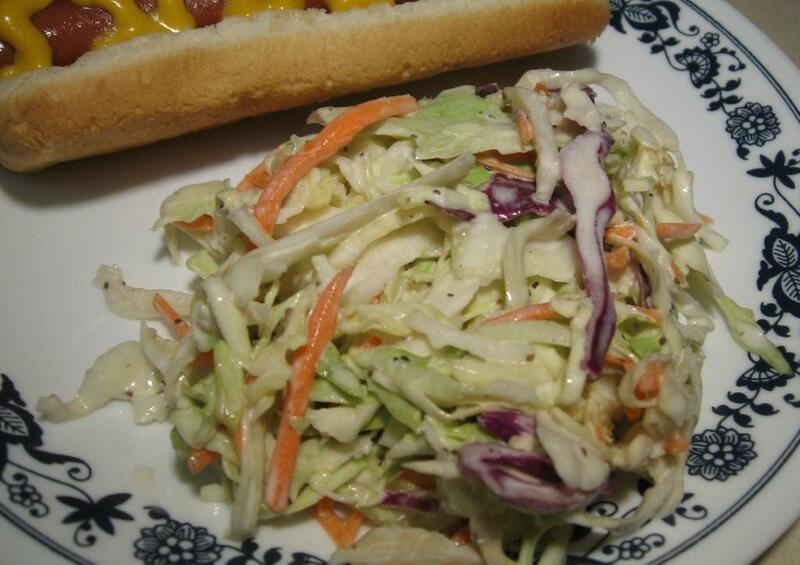 However, is very hard to beat the prepared cole slaw mix you can find in your grocer’s produce section. Place the mayonnaise in a medium bowl. Whisk while adding the vinegar. Continue whisking and add the other ingredients. Whisk until the mixture is smooth and even. Place the shredded cabbage in a large bowl. Add the dressing mix and toss to coat evenly. Cover with plastic wrap (push the plastic wrap down onto the surface of the salad mix for zero air space). Place in the refrigerator overnight. Remove the plastic wrap. Gently toss salad. Use forks or salad tongs to move the salad to the serving bowl. Discard the small amount of liquid from the dressing that accumulated in the bottom of the bowl.